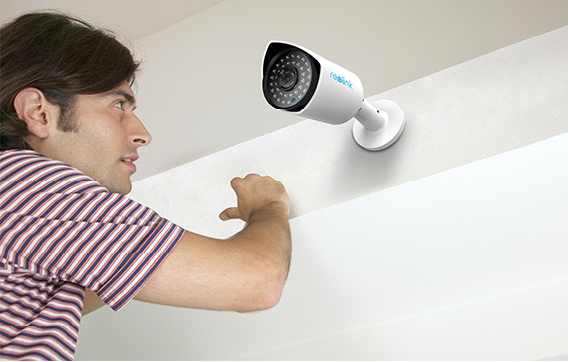 Have a security camera installed in your home, and then you have nothing to worry about? Things can’t be so easy. While you might think that your security system is top-of-the-line, experts say that most actually aren’t. Even the best security systems could use a little shoring up, and the fixes are usually fairly simple. Here are some common problems with home security systems and some easy fixes that you can implement right away, so that your home is as safe as you can make it. Even a really good security system has flaws. Make sure that you know what those flaws are, so that you can resolve them. Then you will go a long way towards making your home safer. Here are the top 5 common problems with a home security camera, along with the easy fix solutions. One of the security system problems is that sometimes people put several pieces of security equipment together. Different security equipment may not be compatible with each other, causing problems. To solve the incompatibility problems caused by piece meal alarm system components, you can simply spend a bit more and get your entire security system from the same company installed at the same time. That way you can be sure that all of the components will work together perfectly. 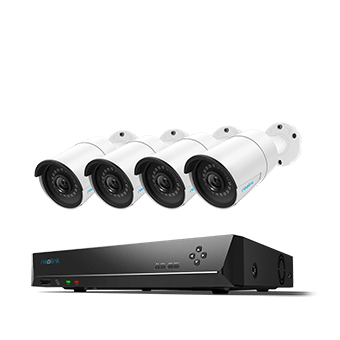 Security cameras from reliable and highly acclaimed security companies will give you more confidence in product quality and more sense of safety. 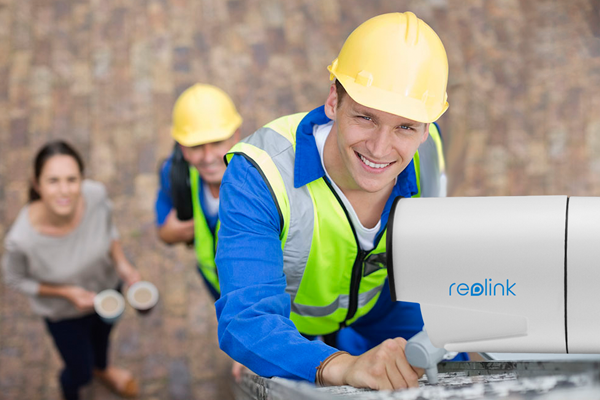 If you want some recommendations about top security camera systems, Reolink is a good choice. News reported that certain private video streams from IP cameras are open to all on the internet. Those unsecure IP cameras will leak your private information for anyone to view, which is pretty dangerous. This is partly due to the reason that users didn’t change their cameras’ default username password. 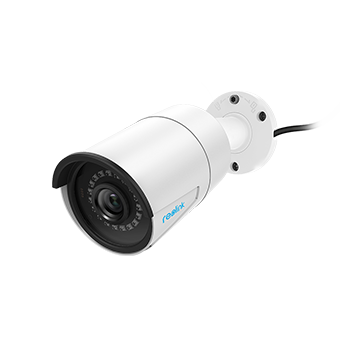 Security cameras are made to offer security, not to let anyone view your surveillance footage. To prevent other people from peering into your private life, you ought to be sure to change the default password for your security camera and create a new one. Not only do you want alarm system passwords and passcodes difficult to guess, but you want them to be completely different from any other passwords or codes that you use. If someone can find out about you on social media, they will be able to brute-force your password if you make it easy. 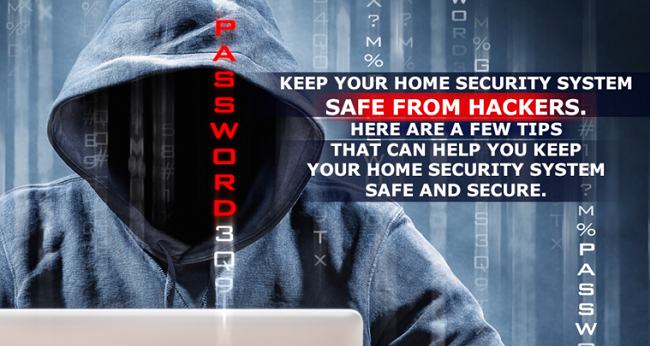 Make sure you use passwords that are not based upon information available online. This is another common problem with home surveillance cameras, namely: the limited surveillance area. Having the best alarm in the world does no good if someone decides to enter your home through an area not protected by the camera. The installation of a security camera, to some degree, decides if it can work for its best. Choose a high and broad angle when installing a home security camera. Make sure that all entryways are covered and that your surveillance camera grid does not have any glaring open spots. Make sure that every window and door is fitted with an alarm and that includes the second floor, since doors and windows are the most vulnerable parts which are mostly like to be intruded. Problem: Home Security System False Alarms. False alarms are an extremely common problem of home security cameras. It is annoying to constantly receive alarms just because trees move in the wind or birds fly past your window. Human error, false installation, and malfunctioning security system, etc. can lead to false home security alarms. One of the best ways to troubleshoot false home security alarms is to use mask feature to avoid motion detection in certain areas. For example, if you install an outdoor security camera in your backyard, where there is a large tree. Then you can add a mask to the tree, so that motion detection will not be activated because of tree waving in the wind. Another way to prevent false alerts is to set motion detection sensitivity. Usually set lower motion sensitivity for your security camera in the daytime, while in the night time, set higher. Not replacing batteries or doing regular maintenance will affect your security system to function properly. Older surveillance systems without regular check often fail to work because individual components don’t work effectively with each other. Get maintenance performed regularly before you think you actually need it. This costs little but it could be the difference between your camera system working properly and failing completely. Make sure that all battery-operated devices are checked and the batteries are fresh. Immediately call for repairs on any component that isn’t working. Evaluate old security systems and upgrade to a new one if necessary. This could be one of the best ways to prevent some common problems with your home surveillance system and make sure it works at its best. Your security systems are usually vulnerable, which can be easily hacked just like your computers. Hackers can bypass your camera to steal your privacy and monitor your life remotely. There are three types of home security systems when it comes to hacking: wired, unencrypted wireless and encrypted wireless. Encrypted wireless is secure but not 100% safe. Wired cannot be hacked, but the wires can be cut. Unencrypted wireless cameras are mostly likely to be hacked. Ideally, create redundant systems with a wired and an encrypted wireless connection will help protect your camera. Refer to 10 easy tips to secure your WiFi home security camera for more practical and useful ways to safeguard wireless security cameras. Make sure that all doors and windows are closed and locked. Replace flimsy locks like the ones that come standard on sliding glass doors. Make sure to lock your garage as well as the door leading to your home from inside the garage. Install lighting outdoors and post visible alarm decals so that thieves and home invaders think twice before deciding to take a chance on your home. This entry was posted in Pro Tips & Fixes and tagged security camera common problems. I’m sorry but this is the dumest article I’ve read. You are contradicting your own statements. Is it true that micro chips in may IoT products (like unsuspecting security cameras) have an open back door for governments or hackers to gain access to these IP networks? You better believe it is! There are billions of dollars poured in to secret surveillance and espionage programs by the likes of China and the US government to build an arsenal of Cyber weapons of mass destruction. It’s only going to worse. Truly, cyber security is a big issue. But don’t be that pessimistic. Security measures, such as WPA2-AES encryption, and SSL encryption, have been taken to secure WiFi network and protect these internet of things from hackers. Not all security gadgets and IoTs will suffer these issues. Patricia, your security camera didn’t pick up a burglary due to many reasons. You are suggested to check if there is something wrong with your security settings at first, especially the motion detection settings, which will send you alarms the moment a thing is detected. I really appreciate your answer the problem is the company I recently hired didn’t do anything right. I told them I had a security problem and please do whatever it takes to make it right. They didn’t. Very poor cameras put in when anyone would have put in much more powerful cameras. I’m being hacked don’t know how. I’m wired and need to change my code I noticed yesterday when viewing my cameras there’s no visibility of the ruler with the time. I don’t know how to get that back. WiFi is going to be installed hopefully this week. I’m doing a lot of reading on cameras learning quite a lot. Thank you for your help talk with you soon. Thank for your input. Don’t really know how to check my security setting. I have it on motion. It also doesn’t synchronize with the showing and the time are incorrect. I believe someone is into my cameras . The bottom piece is missing on regular play have no idea what time it is just isn’t there. How do I get it back? 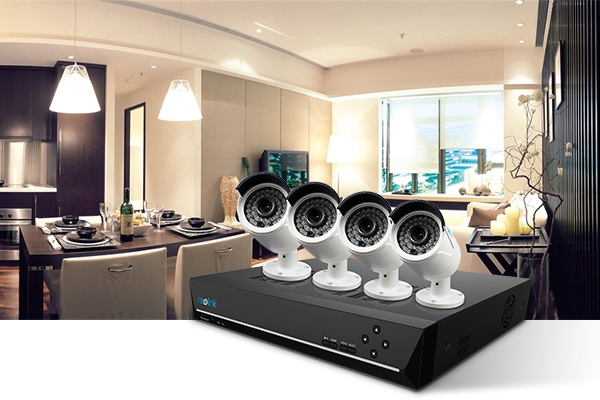 Take a look at the link below as they too have a range of Electronic Home Surveillance options. patricia….SAME HERE. either the camera range is misrepresented (which is what is suspect) or the tech in these is geared more to sensitivity to motion within a close proximity. for example, i get push notices when i leave my yard through the gate and it records me walking all the way down the sidewalk or where ever i go, like putting trash out to curb. however, coming the opposite direction into my gate, it only picks me up once I am immediately in front of the camera. then it records after i shut the gate, by which time, there’s not much of me to see. so a bad guy could easily get in and not be seen. my car is 50 feet away so in daylight, it should be easy to “trigger” video should someone want to vandalize it. but i have never had it trigger someone 50 feet away and walking their dog. and a fox relieved itself on my sidewalk on my sidewalk and was not picked up. at night, i know these cameras are only rated for 33 feet, so i may need to move this to the front tree, which will protect the Jeep in all lighting and catch the fox visiting my feral cat feeder. My smonet 960p beeps 3 long and 2 short what’s the problem? My Reolink C2 Talk feature has interference (submarine sounds) and nothing Reolink support suggests helps? Any ideas? mine didn’t start off with those sounds but they came after after a few days. now i have no sound at all and it’s only day 7.